I actually made this sweatshirt dress last year and took a few pictures, but didn't get around to posting it. I forgot about it until last month since it's too warm to wear in Texas most of the year, but wanted to write my review in case someone is still thinking of making up this pattern. 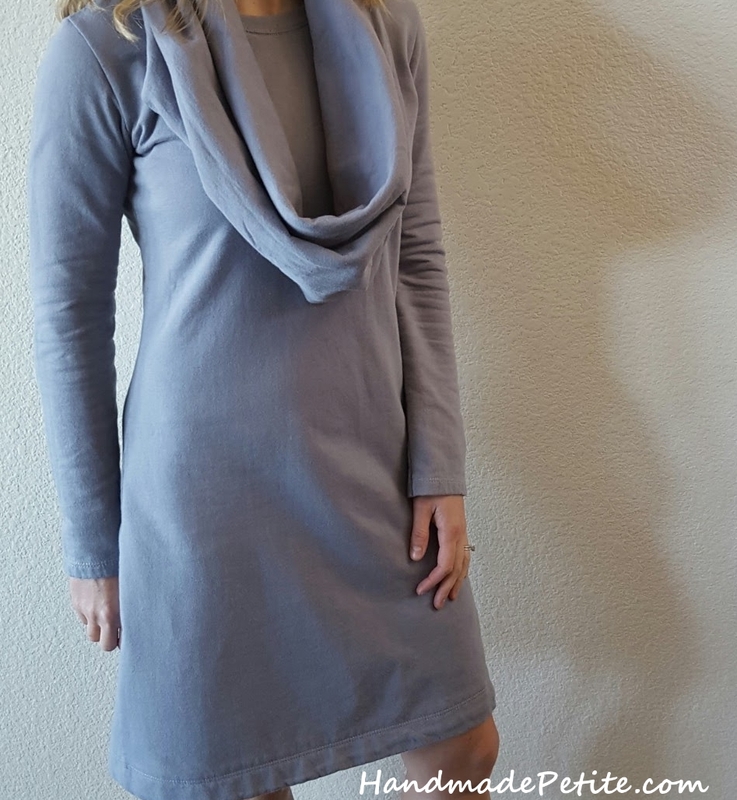 Simplicity 2054 is a casual dress with a few sleeve variations and an optional detached cowl collar. 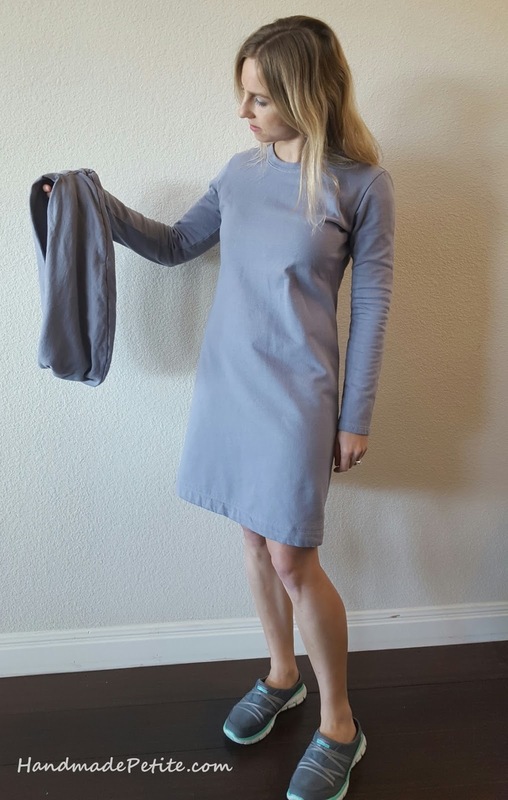 I chose the standard sleeve without a slit and didn't do any fit adjustments to the pattern since I expected the dress to be a little relaxed. The only change I made was turn up the hem by 3" instead of 1.25" as called by the pattern. I liked the wider band and wanted the dress to hit above the knee since I'm short. The fabric was from my stash and I lost the tag, but it's basic light to medium weight cotton blend sweatshirt. It was super easy to sew on the serger and coverstitch. The dress was intended as a lounge around the house on a weekend kind of garment and came out exactly as expected. The only thing that didn't really work in my opinion is the collar. Maybe it would have looked better in a different fabric, but it felt a little bulky and awkward when I was wearing it. In that respect it was nice that it was removable, but at the same time the dress was so plain and neckband too high that it needed something else. If I make this dress again, I will probably skip the cowl, widen the neckband and add some sort of stitching design to the front of the dress. That said, I haven't been wearing this dress much because I tend to wear mostly jeans and tops in the winter and it's a bit too casual to wear to the office so this may be a one time sew. That's really cute and I kind of love the cowl :). You could wear it over leggings or with tights in the winter.